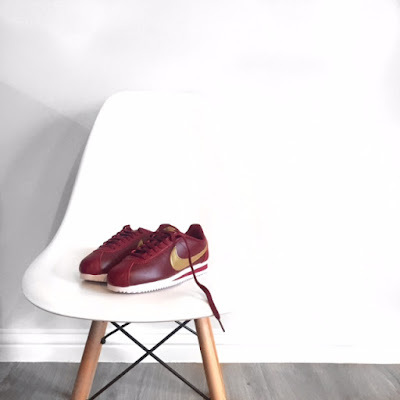 No fear, the others will feature soon but for now, have been totally trumped by the burgundy and gold delights of the old skool Cortez! The Cortez caught my eye (for the first time since the 90's) over on the incredible HoneyBelles instagram page and since then, been on and off the wish list, until I saw these in GOLD at the weekend. 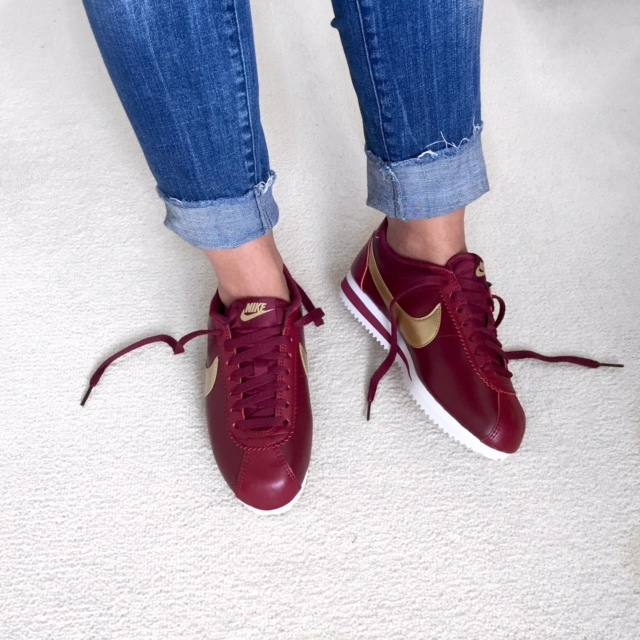 The metallic sneaker is very now, maybe too now for my basic capsule maternity wardrobe... That thought process lead me to these. If you are cursed blessed with teeny size 3 trotters like I, you won't find the gold version I'm afraid as it only goes down to a UK 4 however, the burgundy go down to a UK 2!! Buy the gold here, the burgundy here and some incredible yellow (so very Spring) here. Don't be surprised with the volume of 'new shoes' posts coming over the next trimester few weeks... It's all that's guaranteed to fit me through the Spring and Summer. Exhibit A - Washing up place mats and cutlery and finding them in the fridge. Exhibit B - Popping a tea bag directly into the kettle to make a cup of tea. Exhibit C - Dropping a pee sample at the health centre and not labelling it... There's now unidentified pee being tested and I have to start all over again. This is just a snap shot...there's way more and it's only Wednesday. Omgosh, the fridge thing! Hahahaha! I LOVED Cortez sneaks in the 90s, I had a good few pairs growing up. This colour way is super fierce!